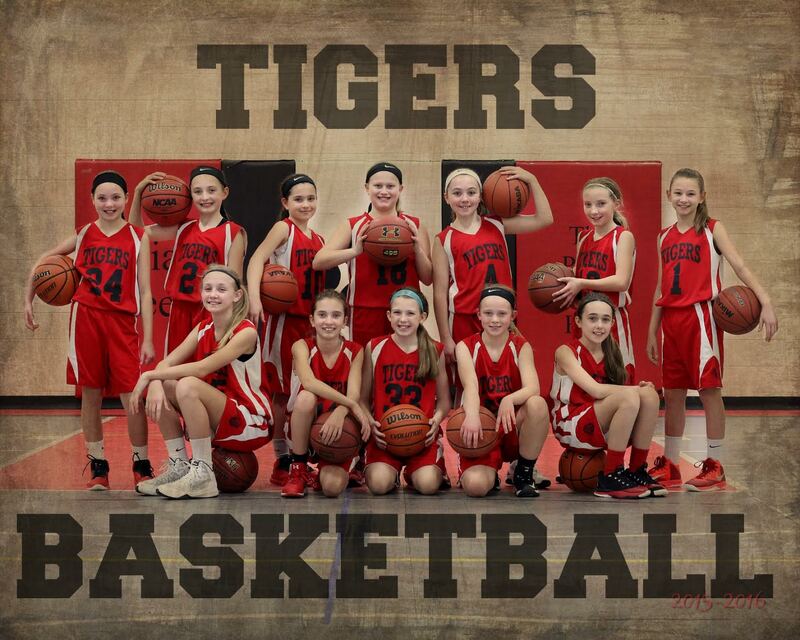 Here’s what we did with our 5th grade girls’ team this year. It’s surprisingly similar to how we coached our 10th grade boys team and our 3rd grade boys team this year. Basketball is basketball. No matter the gender or age level… you shoot, dribble, pass and pivot. I keep things pretty simple and focus on player development. So I end up coaching all levels pretty much the same way. Our team consisted of 12 girls with varying levels of skill and experience. We utilized a hybrid approach in regards to scheduling games and choosing rosters. 12 is too many to have there for every game (too much sitting on the bench). And since the ability level varied with the players, we wanted to have a mix of tough tournaments and middle level tournaments… so we matched players up against the appropriate level of competition. I think it’s important to challenge players, yet not challenge them so much where they eventually lose interest and confidence. Due to my time limitations and a couple tournaments getting cancelled or changed… things didn’t work out exactly like I had hoped. But we made the best of it. We ended up playing in 8 tournaments. We tried to limit our roster size to 8-9. But with cancelled tournaments and messed up schedules, we had to make exceptions in several tournaments and ended up with rosters as large as 11. Again, we made it work. Just wasn’t ideal and we’re making adjustments so we keep our roster size at 8 or less next season. We played up a little bit against 6th graders and also played in a couple really tough tournaments. Good experience for us. We ended up with a nice balance from a win/loss standpoint… won 16 games and lost 12. I think this is a good balance meaning we’re getting challenged but not getting challenged too much and seeing some success. They ended up with several second place medals and managed to get first place in one tournament. I think the only defense we did not see yet is the 1-3-1 zone. It is ludicrous that 5th grade teams play all these different defenses trying to get the advantage. At one tournament we literally faced 4 different presses and 4 different half court defenses! I sit there watching and thinking how many bad habits these kids (on other teams) are picking up and how fundamentally unsound they are. They are trying to win so bad and neglecting to teach the fundamentals. It really hurts them more than it hurts us. We spend lots of time on ballhandling fundamentals and we have a motion offense that works against anything. We also have a simple press breaker. So we don’t have to waste much time preparing for that stuff. For the most part, we just play. But I feel sorry for some of those coaches that are trying to run plays and different strategies for all those different defenses. Here’s a link to the transition offense we ran. Really simple. Takes about 5 minutes to teach. Spacing and ball movement until you get a good shot. Get all rebounds. You can deviate from the guidelines below at any time as long as you have spacing, ball movement, take good shots, and go after all the rebounds. If the ball is dribbled at you on perimeter, back cut. Otherwise if ball is dribbled, move to space and open passing lanes. 3 options when cutting toward the basket (off a screen or basket cut) – post up, clear to perimeter, or backscreen for perimeter player. When the ball goes to post, laker cut and fill opposite. The offense is both effective from a scoring standpoint and also very effective in regards to player development. Everyone touches the ball… equal opportunity. Bigs play inside and outside. Same with smaller players. We focus on teaching fundamental aspects of cutting, spacing, and using screens. In that context we practice fundamental skills too… lay ups, passing, footwork, and shooting. We have a lot of options in the offense so we can teach them all kinds of fundamentals. But the offense is very simple. It all goes back to spacing and ball movement until we get a good shot. That’s all we truly want and we keep it simple. We just run our motion with a couple adjustments…. When you pass the ball, we want them to cut and stop in the middle of the zone. Stop for a 2-3 count and then clear out. Players can also cut from the weakside and find gaps. When you pass and cut to the middle… you need to find a good passing angle. By showing players good and bad passing angles in the middle, they start understanding. And often times they just need to take a step toward the ball so they are close enough to receive the ball. When you fill (replace) open spots to the ball… you need to find good passing angles. Too often players either don’t fill quickly and then they hide behind the zone defender. By showing players good and bad passing angles when they fill, they start understanding. When you flash cut from the weakside, you need to find good passing angles. Again, walk them through a couple examples where they can get the ball and where they can’t get the ball. Very simple and works for us. The only hard part is getting players to remember to STOP in the middle when cutting. And get perimeter players to quickly fill to the ball giving you good passing angles. That takes a little practice and emphasis. We also emphasize ball movement (reversals) but that is no different than our man to man offense. So it’s not really an adjustment. We do, however, emphasize more pass fakes when we see zone. I also put in this super simple play we called red for our last tournament. We only ran it once toward the end of a game and we did get a lay up from it. I spend very little time on plays because I don’t want the kids wasting time memorizing “my system”. I want to spend time on fundamentals and teaching them “how to play”. We used the same plays against both man and zone. We did not execute our plays very good because I hate spending much time on them. How is spending time memorizing my plays going to help these kids when they get older? I’d much rather spend time on player development and fundamentals. So I chose to spend minimal time on our plays. As a result, we didn’t execute the greatest. I was ok with that. With that said, we did score quite a few lay ups off the plays. If I spent more time on the plays we definitely could have scored more lay ups. For SLOB situations, we ran the traditional stack play. For breaking the zone and man to man presses, we ran this 1 up press breaker. What I like most about this press breaker is that it works both against man and zone. And that it makes it easy for the inbounder to make good passing decisions. Sometimes when you have 2, 3, or 4 up… it’s harder for the inbounder to make good passing decisions and requires more practice time. If a team denied full court and we had trouble getting the ball in, we used this Indian play a couple times. We ran half court man to man defense about 90% of the time. We emphasized constant ball pressure (starting at half court), aggressiveness (dictate what happens), and keep the ball out of the paint (no lay ups). We doubled down any time a player had the ball in the post area. We also ran a full court man to man on a few occasions… usually in end of game situations, when we faced really good teams, or when a team is pressing us constantly and we wanted to return the favor. If we faced a mediocre team, we did not press. Could we have won more and blown up a few scores? Probably. But I usually tried to keep games competitive and close. I’m interested in development… not winning or blowing up scores to make myself feel better. With our full court man to man, we had defenders behind the offense (no face guarding). If they could steal the inbounds that was fine, but we did not face guard. I did NOT want to give up lay ups!! Then once the ball was in, we pressured intensely on the ball. And made sure off ball players were always “above the ball” in good defensive position. If the opportunity arose, they could double sidelines, corners, poor spacing situations, and when players turned their head. Again, we only pressed at the end of game if we were down or if we were facing a good team that had good ballhandlers. When we pressed, we focused on doing things fundamentally correct. If there was a good trapping opportunity, we’d allow that. But it had to be situationally the right thing to do. We let players interpret what was happening and figure out if/when to trap. It was 100% man to man. We never ran zone defense once. Beyond that, we focused on good fundamental sound defense. We followed the same progressions and teaching concepts in the Jim Huber man to man defense DVDs. We then took the 10 following traits and showed them how these traits made for great character, leadership, and sportsmanship. I have not shared this with the players yet, but I plan to give players this mini-poster for reference. It shows how those 10 traits flow into character, sportsmanship, and leadership. If we can have a positive impact on our players’ character, integrity, sportsmanship, and leadership… then I feel I have truly succeeded as a coach. Only time will tell. 3 and 4 player shooting (off the catch… high reps). Each player shoots and gets the rebound. As soon as Player A shoots, Player B shoots and repeats the process. Player A passes to B, B passes to C, C passes to A. Players get an average of 14 shots per minute.